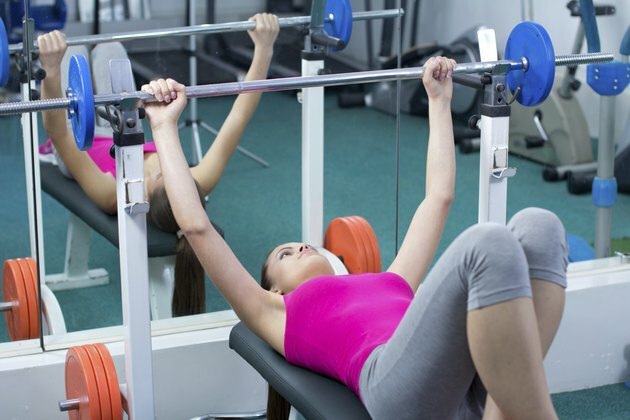 Women looking to lose weight need the help of easy gym workouts to achieve their goals. Easy gym workouts help women who are just getting started stay motivated. Easy workouts also work for women who have limited time to spend at the gym and need the most bang for their workout buck. Try these super-easy workout routines to help you burn more calories and shed excess pounds. Building cardio endurance slowly and steadily helps the body learn to burn fat more efficiently. According to the Fit Day website, slowly increasing cardio activity decreases the risk of pain or injury to your joints during and after your workout. Do 30 to 45 minutes of moderate-intensity gym cardio prior to weight training - elliptical machines, treadmill walking, stationary biking, or group exercises such as a dance-based classes - at least five days each week. Change your activity each day to train different muscles and to keep your interest level up. Training with weight-resistance machines at your local gym helps build and tone muscle while burning fat. Weight resistance machines also help strengthen cardio-vascular endurance as you train. The Fit Healthy Moms website recommends these types of exercises to build more lean muscle throughout the body and lose fat in problem areas. Do three sets of 8 to 10 repetitions with one minute between sets on the lat pull-down machine, leg press machine, chest press machine and the abdominal machine three days each week. Begin with a weight that is comfortable and increase the weight as the number of reps becomes too easy. Doing Pilates workouts at the gym is an effective way to burn calories and take off pounds. Even beginners can find a Pilates class to meet their fitness and weight-loss needs. Popsugar Fitness recommends that beginners arrive a few minutes early to their first class to meet the instructor and discuss any injuries or concerns you have, and ask questions about beginning a Pilates program. Pilates classes typically last 55 minutes and are a great option for cross training with your regular workout schedule. Easy circuit-training programs with light weight lifting burn more calories than focusing on one type of exercise each day. So for women beginning a weight-loss workout program, circuit training can be an effective choice. According to Fitness online, circuit training is a series of strength and/or cardio exercises repeated two or three times with little to no rest in between each exercise. Circuit-training requires a watch with a second hand to time both your exercises and the time between them. 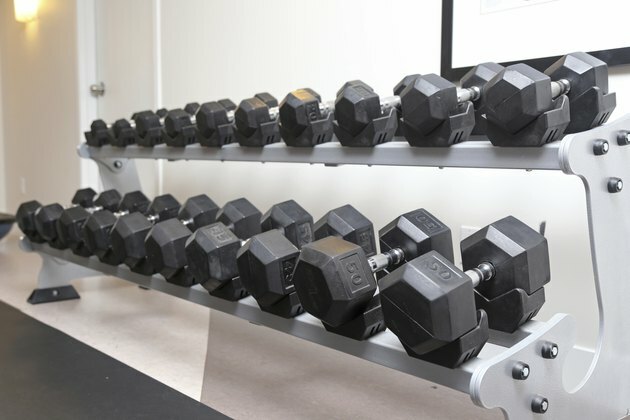 Start by doing strength-training work on gym machines or with dumbbells at a weight that is comfortable for you for one minute each, moving from one exercise to the next without resting. Alternate these moves with one minute of cardio that is appropriate for your fitness level. 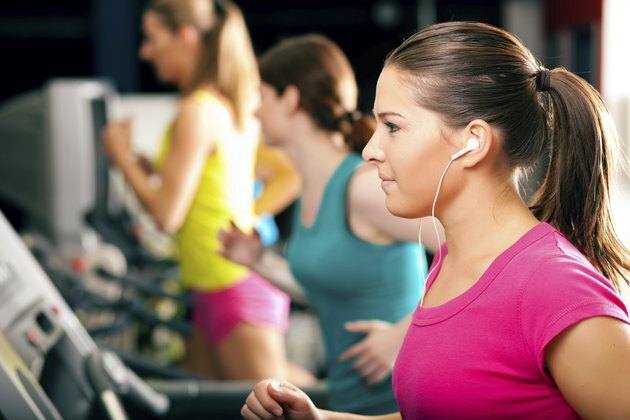 Choose treadmill walking, elliptical machine, stationary biking or rowing. Complete the circuit four times through with no rest in between for a total of 25 to 30 minutes.